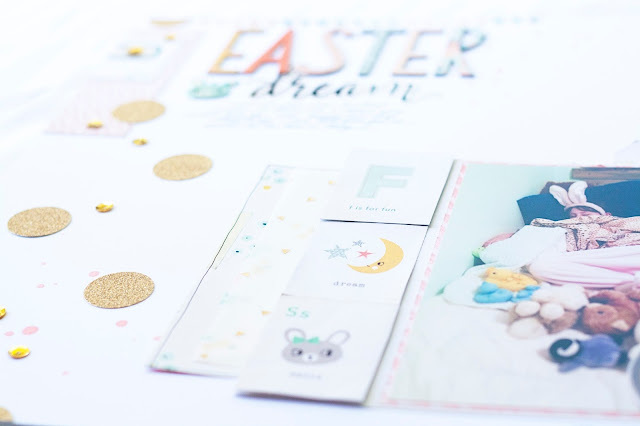 I have enjoyed working with the Wonder collection from Crate Paper. I think one of the things that makes people either love or hate it is the cutesy little animals. Today I decided to run with the bunnies and I used them as inspiration for this layout. I went to check on my daughter in bed on Easter eve and she was so hilarious and cute that I had to turn on the light and snap this photo! The colors of this kit are great for a bit of a twist on traditional Easter colors. 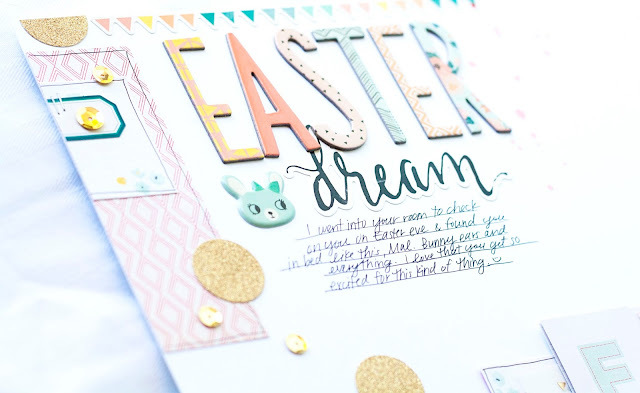 Like I said, I used the bunnies to go along with the Easter theme, but I also threw in a bunch of elements that said "dream" or "sweet dreams". They went with this layout perfectly. The multi-colored, multi-patterned alphabet looks so cute! 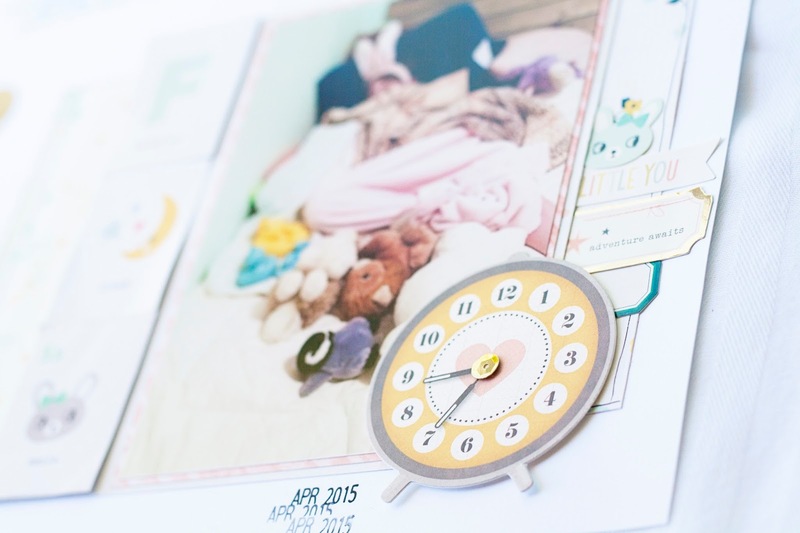 The little alarm clock was just right too! 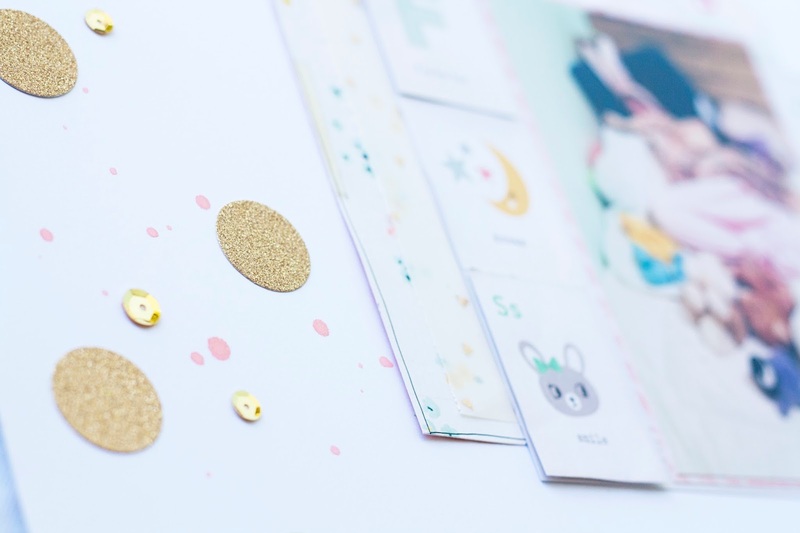 At the last minute, I decided to add these gold glitter circle stickers to look a bit like confetti down the side of the layout. I sprinkled in a few of the self-adhesive sequins too. If you want to watch this layout come together, check out the process video on my YouTube channel or you can watch it below. I've linked to all available products below, including the Iris case that houses my kit. Thanks for stopping by!